The Youth I.D.E.A.S. 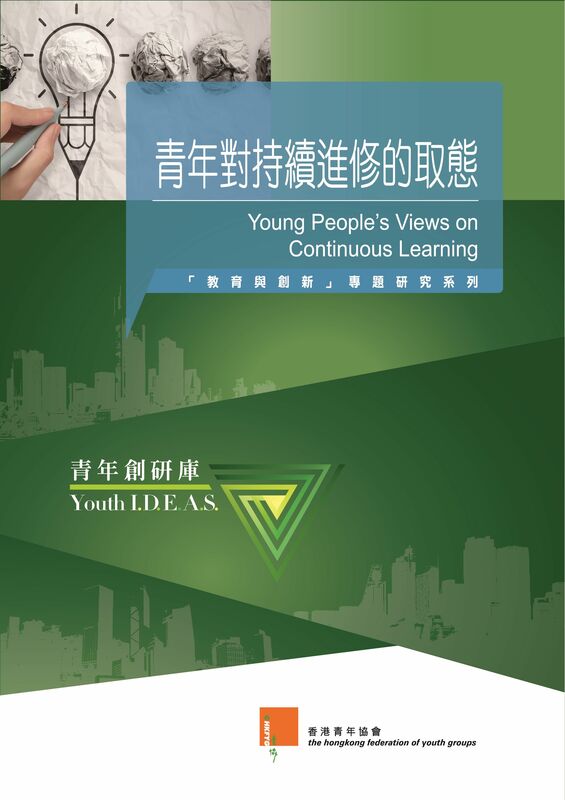 has released its twelfth study on “Young People’s Views on Continuous Learning”. According to the survey, among 527 respondents, they generally believe that continuous learning is a must, with the average score of 7.03 (10 being the highest score). However, only one-third (32.3%) of respondents revealed that they have participated in continuous learning within the past five years. Moreover, 46.0% of respondents have not yet decided their plan on continuous learning. The Study found that respondents believe the most crucial factors in encouraging continuous learning include: value-adding and upgrading skills ( 37.0%)，personal interest (34.7%) and increasing promotion opportunities at work (33.0%). On the other hand, respondents believe expensive tuition fee (19.5%) and the mismatch between work and learning schedule (18.0%) are the two major challenges when continuous learning. Therefore, to help young people overcome these obstacles can motivate them to participate in continuous learning, which in turn attains lifelong learning.